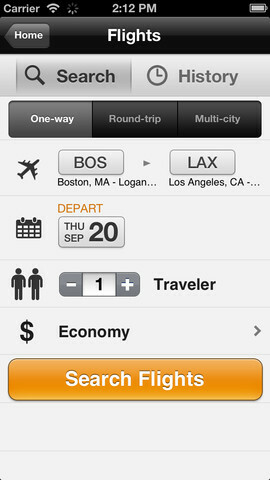 Travel service, Kayak, has released an update to its iOS application that now contains Passbook support and better social sharing, along with other features. Having recently agreed to be purchased by Priceline.com for $1.8 billion last month, this is one of the newest updates to a top application in the iTunes store. Users are able to find services on the iPhone as they find on the desktop version, whether it be comparing flights, hotels or car rentals and booking can be done within the app itself. Flight status and airport terminal maps are also included. 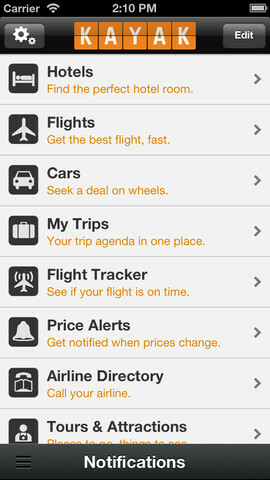 It’s important to note that this update is specifically for Kayak Pro, the paid version of the app. The company does have a free version, which allows users to do everything the Pro version does, except contain maps of airport terminals. Although now, the Pro version is going to be much different from the free one. Those that download the app will find that it contains some new features, including being able to edit events in Kayak’s itinerary management tool. Any trip that is shared with a user can easily be viewed right from the app and it can now be passed to others through Twitter and Facebook. Passbook support has also been integrated for those with iOS 6 installed on their device, which should make traveling a bit easier instead of having to dig through the massive amounts of email one might have in their inbox. In addition, users will now have the ability to book a rental car directly from the application and find hotels nearby with a one-touch function on the iPad.